Ulluco growing and harvesting in pictures. In 2016 we grew ten varieties including Chugua Roja, Ravelo Lisa, Round Orange, Yellow Spotted, White Spotted, Colombian Long Red, Purple, Pica de Pulga, Yellow and Cusco Market. 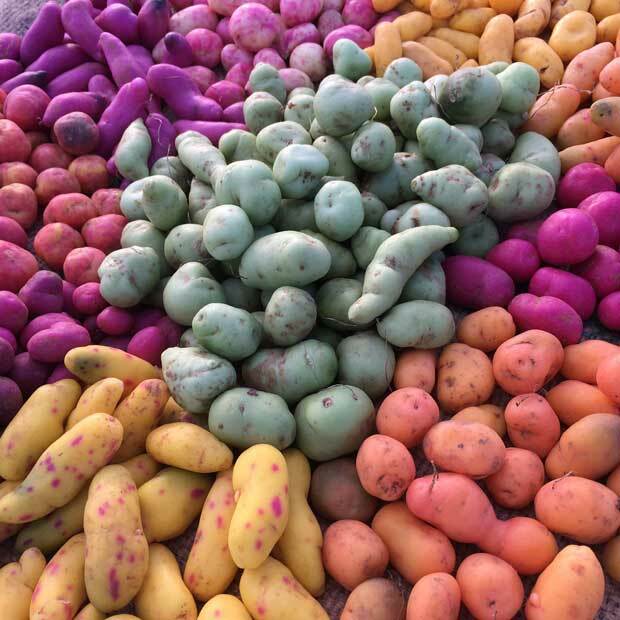 Tubers were harvested in mid December.